Tracking collars are a welcome tool for every dog breeders who like to move away from his home. Use basic and professional collars can accurately locate the position of a dog or cat, and monitor their movements. GPS locators and collars for dogs and cats are such a great tool for all owners who have found themselves in a desperate situation where no idea where the stray animal is. We also recommend GPS collars as a precaution all breeders who want to have your dog under control and always want to be informed about where the animal actually moves. 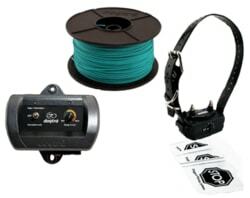 What are tracking collars for dogs? Tracking collars, respectively locators for dogs and cats utilize GPS technology. Through farmer receives accurate information about the current location of the animal. Monitoring a dog is possible through communication between the base station and a tracking collar. You can usually set several viewing modes by distance dog. Wandering regime - if the dog away from his "base", the device immediately recorded and owners report using SMS messages to a mobile phone and a GPS collar alone mode is that the dog monitors up to several kilometers from home. Monitoring Mode - owner activates it via SMS or adjusting the collar. This mode allows you to track the movement of the dog throughout the country. How to choose a GPS collar? We have prepared for you a tracking collars leading manufacturers, we have tried them by ourselves. 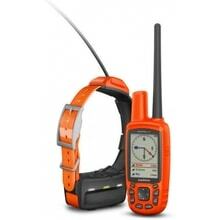 Check them out and choose between GPS collars for basic use of the SIM card or GPS collars for professional use. Using professional GPS collars, radio or GPS collars can track the current position of your dog up to a distance of 16 km even in the most demanding terrain. Under here you will find GPS collars with unlimited range. This type of collars recommended for hunting dogs and professional use. 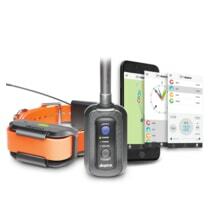 For normal use GPS collars are ideal for sim card where you can track the location of the dog directly from your smartphone, tablet or PC. When purchase GPS collars for dogs? If your dog belongs to the regular "runaways" and it's been very much looking around the neighborhood, you can use GPS collar and your work will be easier. Tracking Collar correctly identify the location of the dog, so you do not worry about intuition or questioning neighbors and find out where it's your dog ran again. 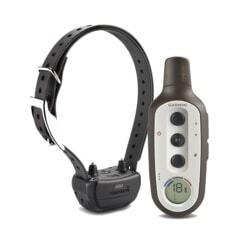 GPS collars are suitable for dog owners who often move in the field and tend to frog. 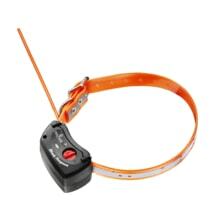 We recommend looking at other electronic dog collars that will facilitate the training or electronic fences, which help keep the dog at home (in a limited space). Tracking collar. Locator. GPS collar. All indications are correct. 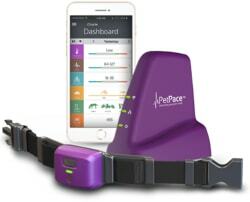 It is an electronic collar that uses GPS technology. Through her owner clearly informed about the current location of the dog. 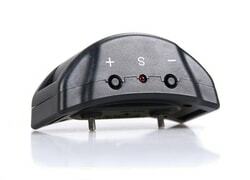 GPS collar is suitable for all dog breeders who like to move away from his home. Locator clearly reveals the position of the dog, so the owner can get him without problems. 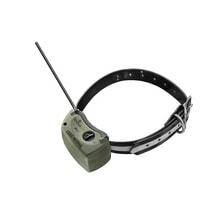 Monitoring by GPS dog collar is made possible by communication between the base station and a tracking collar. You can choose from different modes collar, respectively. distances. GPS collar communicates with the owner and warns him (eg. Via SMS) when the dog moves away from his home. 3When to buy a GPS collar? Tracking collar should consider all dog breeders who regularly seek their canine pets in the near and distant neighborhood. Dog will be under control even when leaving work. Technology is communicating at a distance - the owner will be informed via SMS that the dog ran away. 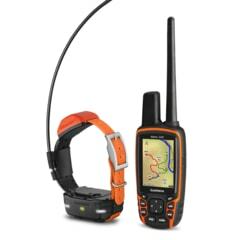 4What are the kinds of GPS collars? 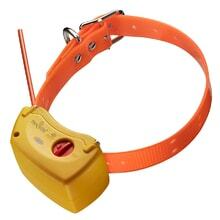 Tracking collars can be divided into collars with a SIM card, which just enable communication with the owner (on a mobile phone text message is sent when the dog left home, or Garden). Another type of radio collars. These collars are controlled by radio and allow you to track the location of the dog up to a distance of several kilometers. 5What types of GPS collars are there? There are several types. You can set various ranges GPS collars. As a rule regarding domestic arrangements (shorter distance in tens of meters), wandering mode (tens of kilometers), or tracking mode (the dog tracks throughout the country). GPS collars are very sophisticated, so if the dog leaves home, activated mode for more distance. 6For what breeds are GPS collars suitable? Tracking collars come in different sizes, so they are suitable for different types and breeds of dogs. Just choose the right GPS collar. 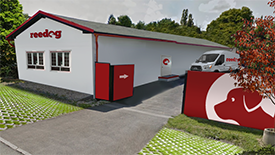 Generally, the largest selection of the owners normally large dogs, from some 5 kg to 50 kg. Yes. 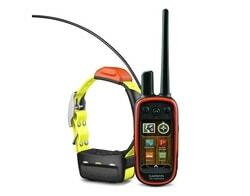 Electronic GPS collars are waterproof, so it can be used without restriction. Transmitter and receiver resist water. Collar (receiver) can be immersed to a depth of several meters. 8Can you watch more dogs at once? With the purchase of other tracking collars can be used without restrictions transmitter functions for monitoring and training more dogs at once. 9Are there for monitoring any fees? Using tracking collars using GPS technology being charged only with GPS collars that use the GSM network. This is essentially a professional GPS collars. 10 How difficult is to control collars? GPS collars Operation is simple and intuitive. The collar, of course, get a user's manual. 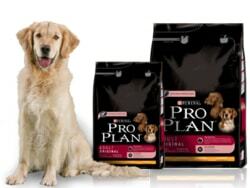 At the same time we are ready to provide you with the use of electronic collars help.